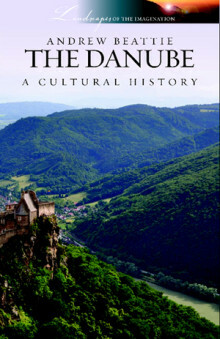 Explores the turbulent past and vibrant present of the landscape through which the Danube flows, where the enduring legacies of historical regimes from the Romans to the Nazis have all left their mark. The Danube is the longest river in western and central Europe. Rising amidst the beautiful wooded hills of Germany’s Black Forest, it touches or winds its way through ten countries and four capital cities before emptying into the Black Sea through a vast delta whose silt-filled channels spread across eastern Romania. From earliest times the river has provided a route from Europe to Asia that was followed by armies and traders, while empires, from the Macedonian to the Habsburg, rose and fell along its length. Then, in the middle of the twentieth century, the Danube took on the role of a watery thread that unified a continent divided by the Iron Curtain. In the late 1980s the Iron Curtain lifted but the Danube valley soon became an arena for conflict during the violent break-up of the former Yugoslavia. Now, passing as it does through some of the world’s youngest nations, including Slovakia, Croatia, Serbia, Moldova and Ukraine, the river is a tangible symbol of a new, peaceful and united Europe as well as a vital artery for commercial and leisure shipping. Andrew Beattie explores the turbulent past and vibrant present of the landscape through which the Danube flows, where the enduring legacies of historical regimes from the Romans to the Nazis have all left their mark. HISTORICAL FIGURES: From the Roman Emperor Marcus Aurelius to Richard the Lionheart, and from Alexander the Great to Napoleon, the position of the Danube at the heart of Europe has led to centuries of war and conflict. LANDSCAPE AND CITIES: From the imperial grandeur of Budapest to the charm of medieval Passau, from grim river ports in Romania to the austere fortress cities of Belgrade and Bratislava, and from the plains of Hungary to the dramatic scenery of the Iron Gates gorge, the Danube flows through a remarkable variety of cities and landscapes. WRITERS AND ARTISTS: From the anonymous author of the Song of the Nibelungs to Patrick Leigh Fermor, and from Albrecht Altdorfer to Johann Strauss the Younger, the beautiful scenery of the Danube valley has provided inspiration for writers, artists and composers through the centuries. ANDREW BEATTIE is a graduate of Mansfield College, Oxford and has written for Rough Guides, the Independent on Sunday and the journal Contemporary Review ; his previous books Cairo and The Alps are also published by Signal Books.